A M Yoder has built our legacy of quality new custom home construction and remodeling by using the best quality materials in our new custom homes and remodels, installed by the best quality local craftsmen. Our strong partnerships with quality brands like Lennox heating and cooling equipment, Thermador and Kitchenaid appliances, Andersen and Marvin windows and doors and Sherwin Williams paint, have helped our brand stand out, and our custom homes stand the test of time. 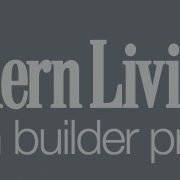 In March of 2016, A M Yoder discovered an opportunity to partner with premier lifestyle brand Southern Living, to bring even more recognition to A M Yoder & Co’s unique system of construction high quality custom homes, and to support the beloved Southern Living brand in the Shenandoah Valley. Like A M Yoder, Southern Living promotes only the highest quality builders, building materials and home equipment brands, making our partnership a perfect match. Southern Living has promoted the unique lifestyle of the Southeast for decades, capturing the beautiful architecture and natural surroundings that aren’t found anywhere else in the world. By becoming a Southern Living Custom Home Builder, A M Yoder gains access to hundreds of unique and beautiful home plans, which we can provide at a discount to our customers. A M Yoder & Co customers will also be able to customize their Southern Living house plan, using one of Southern Living’s partner architects, who are known the world over for their stunning house plans. Aaron and Melinda also attend the Southern Living design conference each year in Birmingham Alabama, Southern Living headquarters, where Southern Living partners from all over the region gather to share best practices and current design trends. A M Yoder is excited to announce this powerful new partnership, and bring the power and products of Southern Living to our customers in the Shenandoah Valley, from Winchester to Lexington. We meet with you in person to listen to the vision for your project and learn where you are in the process of preparation, whether you’re starting from scratch to take a dream into reality or ready to build from plans you already own. Aaron Yoder was recommended to do our home remodeling by a friend. It was a fantastic recommendation!! The work was professionally done and the workers were very respectful of the house and its cleanliness. I would highly recommend Mr. Yoder and his company to you! Excellent attention to detail, and very sensitive to our needs. We managed to work together with patience and vigilance to build a home which is not only universally accessible for aging-in-place, but also very handsome and practical from a social perspective. Kudos to foreman Nick for his excellent work with the sub-trades on site! As a residential architect with over 30 years in the business I feel fortunate to have found the opportunity on multiple occasions to have worked with Aaron, both on bid construction projects and part of what I would consider a solid design/build team when needed. He's knowledgeable, dependable, fair, a team player, a hard worker and a very organized businessman as well. To Buy or To Build? That is the Question. http://www.amyoder.com/wp-content/uploads/2016/04/AM-Yoder-House-1-1092.jpg 1001 1500 Aaron Yoder http://www.amyoder.com/wp-content/themes/amyoder-enfold-child/images/logo.png Aaron Yoder2016-05-02 22:46:072018-03-02 17:36:32To Buy or To Build? That is the Question. Elephant In the Room #2: Change Orders. http://www.amyoder.com/wp-content/uploads/2016/04/AM-Yoder-2015-1162.jpg 1000 1500 Aaron Yoder http://www.amyoder.com/wp-content/themes/amyoder-enfold-child/images/logo.png Aaron Yoder2016-04-22 23:12:032018-03-02 17:36:32Elephant In the Room #2: Change Orders. Elephant In The Room: How Much Profit Does Your Builder Make? http://www.amyoder.com/wp-content/uploads/2016/04/AM-Yoder-2015-1045.jpg 1000 1500 Aaron Yoder http://www.amyoder.com/wp-content/themes/amyoder-enfold-child/images/logo.png Aaron Yoder2016-04-22 20:42:212018-03-02 17:36:32Elephant In The Room: How Much Profit Does Your Builder Make?